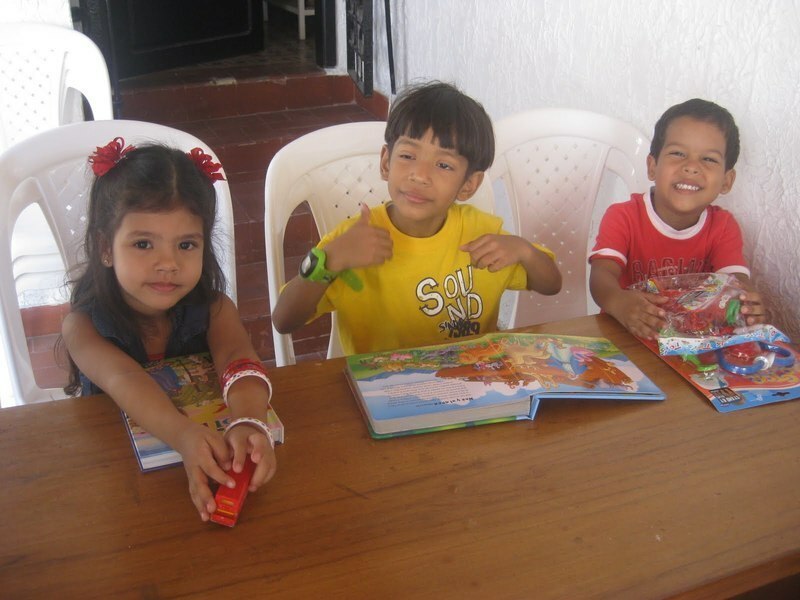 The children at our school in Colombia were delighted to each open a small gift this Christmas and the smiles on their faces demonstrate just how much they will continue to enjoy them throughout the year. Every child loves a special gift and those we care for at Stand by Me are no exception. As we shared presents with our family and friends over the Christmas holidays, the children in our Stand by Me projects around the world were enjoying the same, thanks to our wonderful supporters and sponsors. For these children who have very little, whose families cannot afford to provide even regular meals for them, a toy or book soon becomes a treasured item. At Stand by Me we provide the essentials for each child but we like to go that little bit further too, as we believe that every child deserves something special to make them smile.